Portraits from Hāfu2Hāfu, an ongoing photographic project which investigates what it means to be half Japanese and how this defines identity. …But even so, as Mitzi Uehara Carter, who teaches at Florida International University and is the daughter of an Okinawan mother and an African-American father, explained, hāfus in Okinawa, like those anywhere, often balk at having their lives stuffed into narrative boxes. They don’t like being saddled with identity crises they don’t necessarily have. 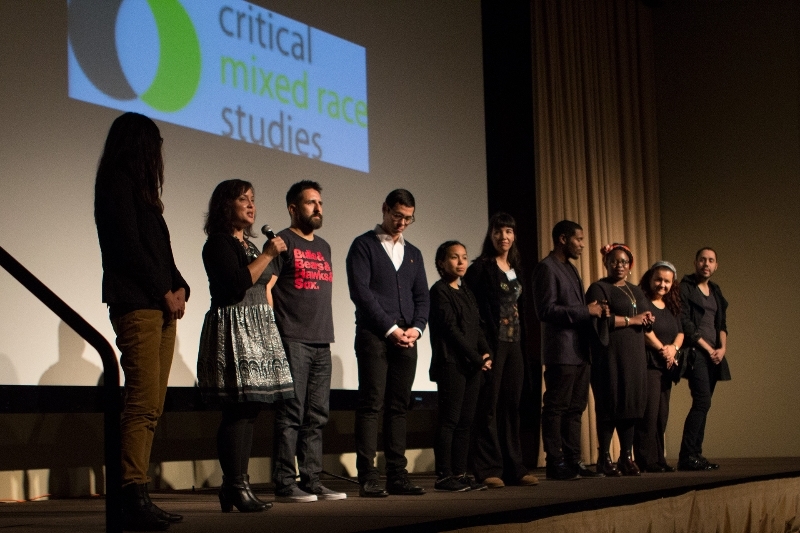 “Global Mixed Race,” the 3rd biennial Critical Mixed Race Studies Conference, was held at DePaul University in Chicago Nov 13-15, 2014. A big thank you to the over 600 people who attended Global Mixed Race. Videos of our keynotes and Live Performance showcase are forthcoming. Please visit us on Facebook to see event snapshots. High-resolution press photographs are available on request. Follow the archive of the event on Twitter #CMRS2014. Read a reflection from our Social Media Caucus organizer Sharon H. Chang. Watch Mixed Roots Stories top 3 highlights from each day. Comments Off on “Global Mixed Race,” the 3rd biennial Critical Mixed Race Studies Conference, was held at DePaul University in Chicago Nov 13-15, 2014. How are islands connectors of flows of peoples and culture? What types of constructions and deconstructions of race and identity have influenced Hawai’i’s interracial history? How might the past impact the future of racial/ethnic relations on the Hawaiian islands? Author of Pacifically Possessed: Scientific Production and Native Hawaiian Critique of the “Almost White” Polynesian Race (2013). What are the outcomes of evolving racial ideologies in North America and how are they impacting 21st century American identities? How do 21st century multiracial identities and representations reflect and challenge historical constructions of racial mixing? How does racial mixing inform transhumanistic enterprises (i.e., wearable technology) and impact educational experiences dedicated to mixed-race studies in digital spaces?